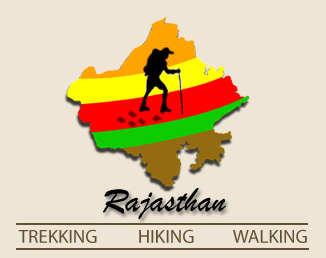 Trekking in Ghanerao is an exciting experience as it is located in the most picturesque area of Rajasthan, on the edge of Aravali Hills, alongside the Kumbalgarh National Park. Ghanerao is a small town located at a distance of 140 kms from the city of Udaipur. The activities includes Bird watching, Tribal hut tours, trekking to Ranakpur temples (15kms) and Kumbhalgarh Fort (13kms), Horse Safari, jeep safari, rock climbing, picnic at the Crocodile dam and bicycling tours. Adjoining is the 10th Century Muchala Mahavir Jain Temple and the Garacia tribal holdings. Twenty minute trek is a crocodile dam where one can spot the oldest crocodile Bhima who will even pose for you, if in mood. The magnificent and the only unconquered Kumbalgarh Fort is a 15kms trek amidst the lush green forest, a sumptuous lunch/tea can be organized enroute or at fort. The World famous Ranakpur Temples, the 17th Jain Temples are just 15 km away, its ones prerogative whether one wants to trek or choose jeep or horse safari. Paradise for Bird watchers and the Animals spotted in the Kumbalgarh National Park are sloth bear, leopards, sambhar, wild boar, Jungle cat, and it's the where four horned deer and wolves can also be seen. An ideal getaway from the hustle and bustle of the cities to enjoy the nature in its full glory, a place to meditate and reflect, while sitting around the camp fire under the most spectacular canopy of star lit night.....one finally understands and values ones earth and life. Duration : 1 Night / 2 Days. Duration : 2 Nights / 3 Days. 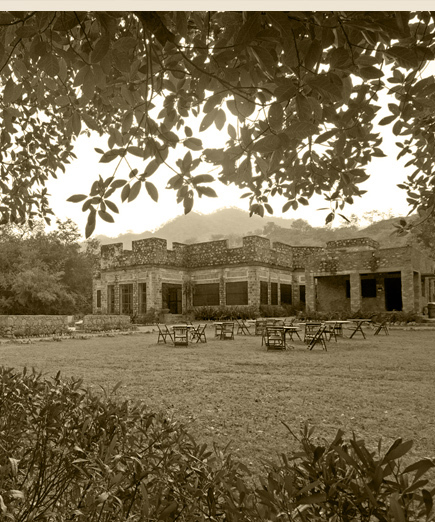 Hotel Bagho ka Bagh Located in the most picturesque area of Rajasthan, on the edge of Aravali Hills.